Boost memory, enhance sleep, lower anxiety … these scents do way more than just smell good. Because of the way our brains are structured, odors have a significant and immediate effect on our thoughts and behaviors. Smelling pleasant scents, in general, gives us a positive boost. For example, in a study published in the 1997 issue of the journal Personality and Social Psychology Bulletin (“The Sweet Smell of … Helping: Effects of Pleasant Ambient Fragrance on Prosocial Behavior in Shopping Malls”), Robert Baron reported that people were more likely to help a stranger in the presence of pleasant smells than when those odors weren’t present. In other words, smelling various scents can directly effect — even influence — our minds. Taking that research a step further, you can learn how to incorporate scent into your home to improve mental performance, reduce anxiety, relax and so much more. 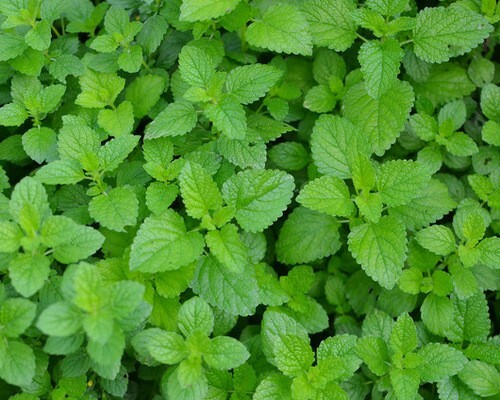 The scent of peppermint makes us feel more alert. It also reduces smokers’ cravings for cigarettes. Meanwhile, a research team lead by Bryan Raudenbush, an associate professor of psychology at Wheeling Jesuit University, has found that smelling peppermint can help us with tedious physical tasks, such as routine workouts, enhancing our performance and making us think we haven’t worked as hard as we actually have. Smelling rosemary also increases alertness, and it improves the performance of our long-term memory — just the scent we all need when we’re doing our taxes and trying to remember why we saved a receipt. The scent of sage also helps with memory and makes us feel more alert. Try cooking with it tonight and let its smell fill your home. Studying? Sip on lemon tea. The scent of lemons improves mental performance. The smell of coffee does indeed wake us up and helps us accomplish routine tasks. Coffee smells even enhance the performance of sleep-deprived rats — and they haven’t seen a single coffee ad on television. The scent of oranges reduces feelings of anxiety. Teaching someone to drive? Put an orange air freshener in the car. The smell of jasmine also lessens feelings of anxiety. No wonder it was so blissful to sit on Grandma’s jasmine-wrapped front porch. Science agrees with aromatherapy: The smell of lavender is indeed relaxing. Add it to your bedroom now. With that in mind, studies have shown that what we smell as we sleep influences our dreams. Add positive scents to your bedroom, and your dreams will be suffused with positive emotions. People are fairer and even more generous when they’re in spaces that smell clean, like from cleaning products. In one study, on Dutch trains that smelled like a familiar cleaner, people littered less. So let the odor of Windex perfume your mudroom!